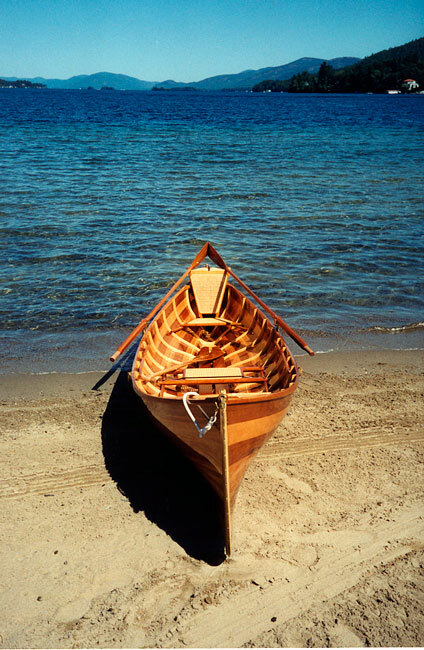 George Weinbrenner started construction on this Adirondack Guide Boat as part of a WoodenBoat school class in the summer of 2001. He feels very lucky to be able to have brought MOHICAN home and finish her out. He launched her in Lake George, NY in September 2002. 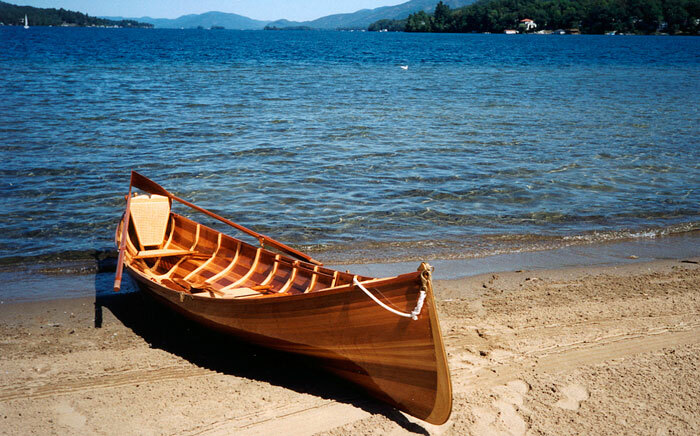 The hull is made of western red cedar, with cherry trim and oars, and a pine bottom. George lives in Raleigh, NC and plans to cartop it throughout NC. The designer and teacher of the class is Steve Kaulback.